Kalaupapa settlement now has 10 free public WiFi hotspots, with locations also coming to Kaunakakai, the Department of Commerce and Consumer Affairs (DCCA) has announced. The hotspots will provide one hours of free service per day per device, provided by Spectrum. The Molokai hotspots are among at least 1,000 hotspots that were required as part of the agreement of transfer of Oceanic Time Warner Cable to Charter Communications, known as Spectrum. It’s a battle of the airlines to the tiny settlement of Kalaupapa, with two companies vying for the ridership of residents. In a drama that will play out in the coming weeks, both Makani Kai Air and Mokulele Airlines are now flying into the peninsula. The Molokai Mule Ride has been evicted from the Kalae barn that served as the business’ base for more than four decades. Last Saturday morning, state sheriffs, Molokai police and representatives of R.W. 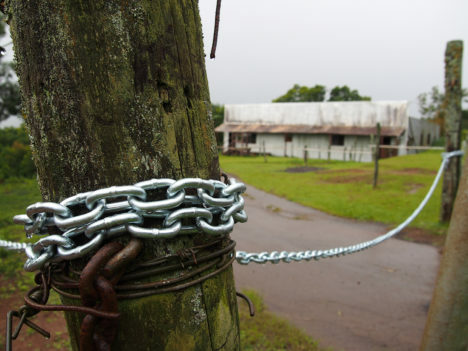 Meyer arrived to carry out the eviction, leaving the barn’s entrance chained up. Mokulele Airlines has been selected to fly into Kalaupapa under the federal Essential Air Service program without subsidized funding, despite concerns from the community. The airline has not yet finalized its flight schedule or pricing for its service to the isolated settlement, which will begin June 1. The federal Department of Transportation (DOT) announced their decision on March 16, and Mokulele representatives met with Kalaupapa residents the following week to discuss their needs. 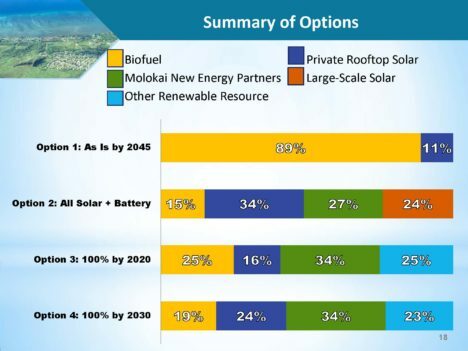 Maui Electric has identified a four-way fork in the road to Molokai’s energy future. Last week, the utility presented several options to reach the goal of 100 percent renewable energy for the island in a series of island-wide community meetings. 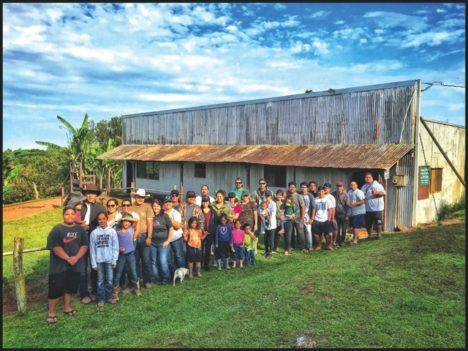 Sust `aina ble Molokai invites the Molokai community to join the Tentou Network for a day of transformative discussion on Molokai’s readiness for community ownership of renewable energy projects on Feb. 19 from 9 a.m. to 3 p.m. at Kulana `Oiwi Halau. Editor’s note: The Kalaupapa community is circulating a petition for their voice to be heard in the selection of the airline that serves the peninsula through the federally awarded Essential Air Service subsidy. Makani Kai currently provides affordable flights to Kalaupapa through the EAS, however residents are concerned that may soon change. For more information or to sign the petition, email kahuricharducc@gmail.com, adlau@sof.org or rjm2429@gmail.com. A state ferry system is not feasible, and neither is bringing back the Molokai to Maui ferry, even though it may be needed, according to a recent study from the Department of Transportation. After being tasked with conducting the study by the state Legislature in 2016, the DOT examined the technical, commercial and financial feasibility of several types of ferries in Hawaii. It looked at an inter-island ferry, an intra-county ferry between Molokai and Maui, and intra-island ferries between West Oahu and Honolulu and between West and Central Maui.